This is a 1977 ad for a Roche pharmaceutical! The size of the ad is approximately 6.5x10inches. 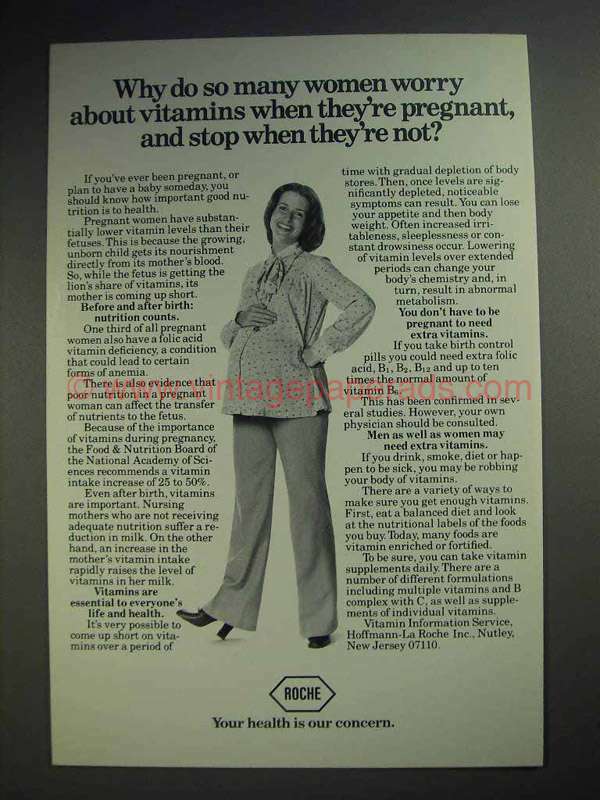 The caption for this ad is 'Why do so many women worry about vitamins when they're pregnant, and stop when they're not?' The ad is in great condition. This vintage ad would look great framed and displayed! Add it to your collection today!